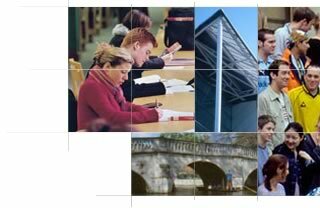 A university education will expand your horizons - where else can you meet people from such a variety of backgrounds - and equip you to cope with change and the unexpected? In 2009, Cambridge University will celebrate its 8th hundred anniversary. Its influence can be found throughout history, both in Britain and around the world. As of this year, more than 60 members of Cambridge University have won the Nobel Prize. Some people describe Cambridge University as the continuation of Oxford University and the origin of Harvard University in America. In 1209, some students from Oxford University had a conflict with the local people, then they moved to Cambridge. They and some students from Paris University followed the mode of Oxford University and Paris University founded Cambridge University. About 400 years later, a graduate of Cambridge University, John Harvard founded the first America University in the state of Massachusetts. In 17th century, the maths professor from Cambridge University, Newton, published the famous " Principal Mathematics" (known by its Latin title of "The Principia") to make it become one of the most famous universities in Europe at that time. After that, Charles Darwin and his "Theory of Evolution" made the university become the top university in the world. As for the arts, some famous poets, like Byron and Tennyson used to study there. Master degrees are only for the students from Oxford University who have got the bachelor degrees. There are only a quota of 7 for international students in the Medical Faculty every year. There is a great quantity of course work at the end of each term. The origin of Imperial College was Royal College of Science, City and Guilds College and Royal School of Mines. They merged in 1907, then joined in the University of London. St Mary�s Hospital is one of the best hospitals in London. It is also used for teaching and conducting research in the college. The main campus is located in South Kensington, which is not for from the Science Museum. Many famous scientists and used to study or teach there, for example, Alexander Fleming and Emst Chain, who discovered Penicillin, W. H. Perkin, the person who invented Anicine Dye and Denis Gabor who invented holography. The university is located on the west coast of England. Bristol is famous for its beautiful coastline. The courses in the university include core subjects and elective subjects, which are courses that you can choose to study. Before choosing the subjects, students should ask the tutors for suggestions. The tutors in the university are very strict to the students because they think the university is as good as Cambridge and Oxford. In the final year, research projects, siminars, tutorials and experiments are the mode of study. UCL is located in central London, it is very close to British Museum. Most parts of the buildings were bombed in the Second World War. They were rebuilt after the war, with classical and noble style remained. There are as many as 1,500,000 books in the library. The campus is in Coventry at the centre of England. Its Warwick Arts Centre and Warwick Science Park are very famous in Britain. The university itself is only about 40 years old, but its academic level is very high. It has one of the best departments for Computer Science and Business in the country. There are many I.T companies running in Warwick Science Park. The university provide professional assitance to help them with their business. In Britain, it is said that Oxford, Cambridge and LSE are the first three places to form new concepts. The original concept of the LSE was from the people in the University of London. They thought they should develop a college especially for researching economics and politics. In recent 50 years, many economists and Nobel Prize winners in Economics have given lectures in the college, including: Sir John Meade (1972 winner), F.A.Hayek (1974 winner), James Meade (1977 winner), Sir Arthus Lewis (1979 winner) and Ronald Loase (1991 winner). Their theses and essays have great influence on the world economy. For years, the LSE is the consultant of British government, gives advice to the parliament. 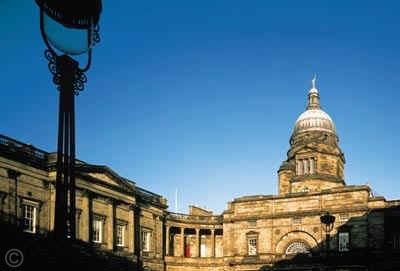 The University of Edinburgh is 6th oldest university in Britain. It also has the largest library in Scotland. The University of Edinburgh was the first university to use the University Smart Card. The card can be used as the library user card, computer room and sport centre I.D card. You can even use it to pay the bill. With this card in your hand, you can go to every place in the university. Edinburgh is the capital of Scotland, has the population of 500,000. It is considered to be one of the most beautiful cities in Britain, surrounded by a lot of spectacular mountains and lakes. The sandwich courses in the University of Bath are very popular with the students. That is one of the reasons why it is so successful. Most of the courses have the responsible people to arrange the companies and making schedules, in order to put the academic knowledge into practical work and help the students to accumulate some work experience. The university is only two miles away from central Bath. The campus is at the top of a hill; the environment there is absolutely wonderful for study, quiet and lovely. The University of St Andrews is a small one in a small seaport, but it is the oldest university in Scotland, the third oldest one in Britain. With the resources in the city, people could found a university with a high standard like this, we have to say it is hard to believe. A third of the population in St Andrews is from the university. After Prince William enrolled in the university, it became world famous, but more difficult to get into for the students. One more thing should the people be proud of is the origin of golf, the first golf course in the world was built in St Andrews.